1. Do you have a sore on your foot that just doesn’t want to heal? 2. Are you a diabetic with poor sensation, tingling or pins and needles on your feet? 3. Are you a smoker with cold feet? 4. Have you ever had an amputation of a toe or part of your foot? If you answered yes to any of the above questions, you may be at risk for developing an ulcer on your feet. Foot problems often happen with there is nerve damage (neuropathy), which results in loss of sensation in ones feet. This loss of sensation combined with dry skin, high-pressure points (bunions/hammertoes) and ill-fitting shoegear increases the likelihood of developing a non-healing wound. Smokers are also at risk for developing non-healing foot ulcers due to the acceleration of circulatory disease in the toes and feet. This diminished circulation decreases the body’s ability to heal an open sore or cut. This can quickly develop into a non-healing ulcer. The diminished circulation then makes the wound much more difficult to close. It is currently estimated that over 30 million Americans have diabetes. Approximately 4% of those with diabetes will develop a diabetic foot ulcer costing the healthcare system annually about 6.3 billion dollars in health care costs. Medicare recipients who are diabetic often qualify for Medicare’s diabetic shoe program. The fitting of appropriate shoes can greatly reduce the risk of developing a foot ulcer. Wound Care: Dr. Sands was trained at the Wound Healing Center at St. Joseph’s Hospital in Flushing, NY. 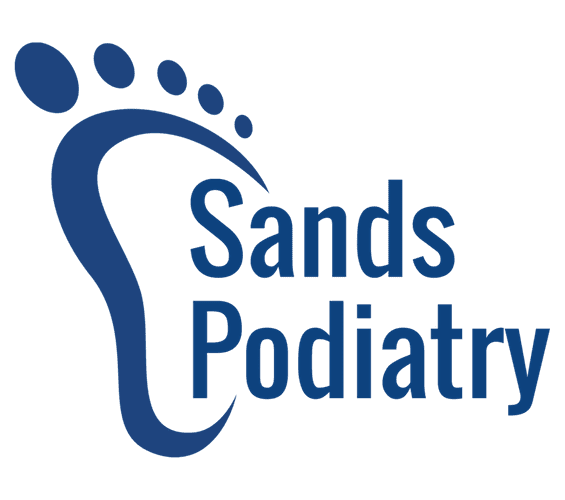 Dr. Sands is trained in advanced wound-healing modalities and with the use of the newest techniques and wound care products. Dr. Sands uses bio-engineered skin grafting as an advanced treatment modality to accelerate wound healing. He is also trained in the surgical management of chronic wounds and limb-threatening infections. If you believe you are at risk for a foot ulcer, please contact Dr. Sands by booking an appointment online or calling the office at Great Neck or at the Wound Center at St. Joseph Hospital in Bethpage, NY.